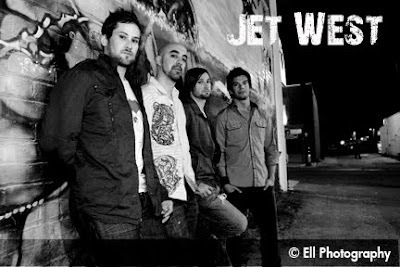 Jet West headlined at Winston's last Friday (March 5th). I had the privilege to photograph them for a set of headshots, group shots at the venue, and some live performance on stage. Here's the first photo I've finished of Derek, their Drummer. Let's just say they made my job easy! 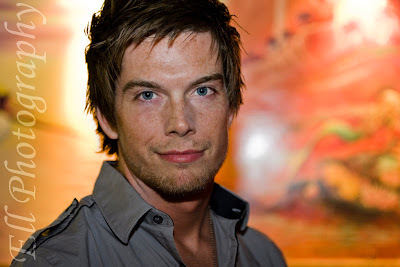 I met Chris Warner, one of the band's guitarists and singers, on a cruise to the Mexican Riviera. I was talking with one of my girlfriends in the atrium listening to band play, and Chris jumped up on stage and started jamming with the band for about an hour. I have to say I was impressed. They are in the middle of recording their first album and will be shooting their first music video coming up here in two weeks.